Contact Myk at Happy Tails Animal Rescue Inc. to express your interest. 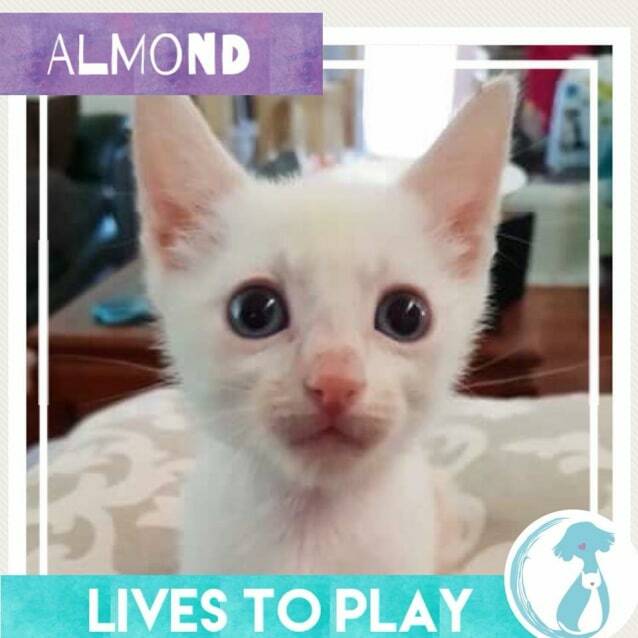 Almond was found all alone with his 3 siblings at only a day or two old, their mum sadly could not be found. Luckily for them, they were welcomed into the litter of new kitty mum Dora, who gave them the very best start in life. Almond loves playing with his siblings, but adores people cuddles just as much!